IAA YES stands for Indonesian American Association – Youth Empowerment Society. It’s IAA’s Youth Department, whose goal is to get the second generation (or later generation) of Indonesian Americans involved more in the community through different programs that they plan, arrange, and do by themselves and for themselves. 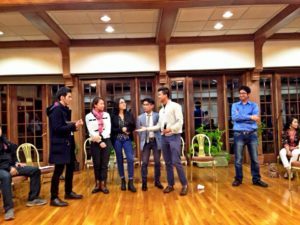 This year’s IAA leaders are Aminda Kadir, Rizki Hidayat, Sani Djaja, and Winona Zaky. IAA-YES already has some plans for this year.